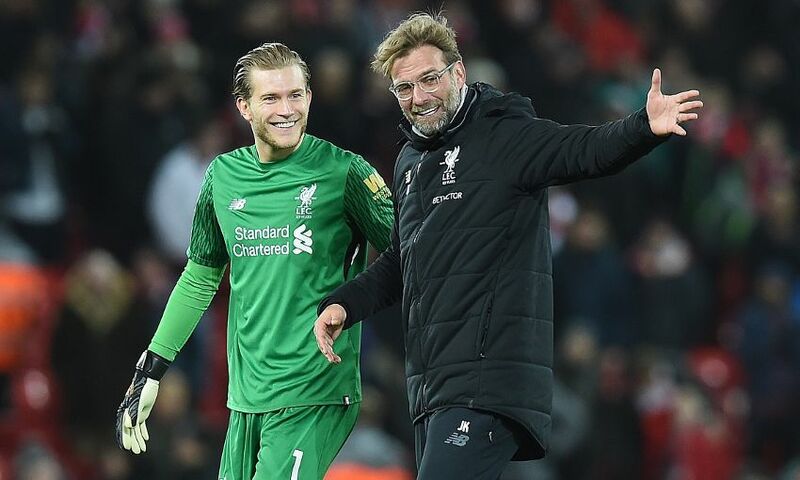 Liverpool cannot afford to pat themselves on the back for their 18-game unbeaten run with so much still to play for this season, according to Loris Karius. The Reds’ response to the disappointment of a 4-1 defeat against Tottenham Hotspur at Wembley in October has been emphatic, with 13 wins and five draws in all competitions since that day. Jürgen Klopp’s men have thereby consolidated a position in the Premier League top four, reached the fourth round of the FA Cup and set up a last-16 Champions League tie with FC Porto next month. The players have a right to be satisfied with that record – but, as they aim to extend it at Swansea City this evening, Karius insists this is not the time to reflect on past results. “The squad right now is the best since I’ve been here with the depth and quality we have,” the goalkeeper told Liverpoolfc.com. “We can change or rotate and still get results and play well. We play fantastic football. By contrast, Swansea City have struggled for the majority of the season. The Welsh club have claimed four points from the past three Premier League games since the appointment of Carlos Carvalhal, though nevertheless remain bottom of the table. Karius expects the Swans to provide a different challenge to the one Liverpool overcame with a 5-0 victory in the reverse fixture at Anfield on Boxing Day but feels the focus should be wholly on their own objectives. “It’s always different with a different manager. He’ll have a few new inputs. A new manager can always be a boost, especially if it wasn’t going well before,” said the German. “But that doesn’t make much of a difference for us. We just want to prepare well, and I’m sure our manager will also show us what their new manager has put in and prepare us well. “Every point matters for these teams – but also for us. It’s getting very intense. They maybe feel a lot of pressure. We can’t focus on that, we have to focus on us and analyse what they’re good at and where we can hurt them.